Why sheep? Well, why not? 150 years ago, New Hampshire was primarily grazing land -- not woods as it is today -- which served as home to millions of sheep. It is this shepherding craze that is responsible for the hundreds of stone walls that line our woods today. Our efforts are focused on the﻿ Olde English Southdown Sheep ﻿breed (better known as Babydoll Sheep). 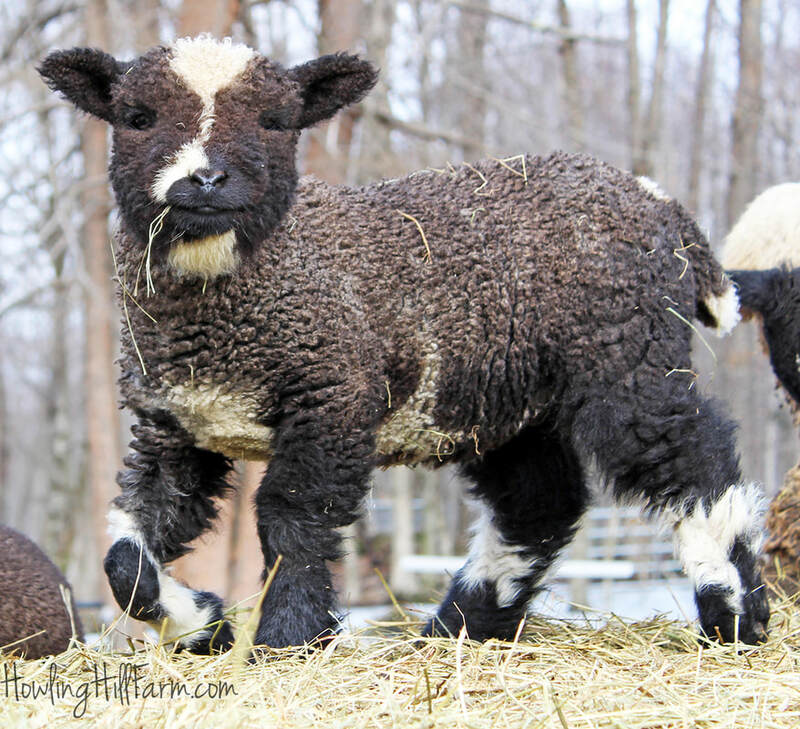 Contrary to popular belief, the Babydoll Sheep is not a miniaturized, modern "fad" breed, but rather a recreation of a historic English breed of small-sized, triple-purpose sheep (meat, wool, and lawnmowers who are too short to destroy the trees in the orchards with which they are pastured). Modern Babydolls are predominantly bred as companions, and it is easy to understand why. They truly are everything they are cracked up to be -- adorable, friendly, easy keepers. We have also begun to work with the new and emerging Miniature Harlequin Sheep breed. 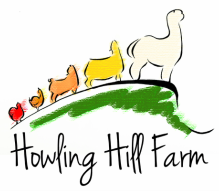 This breed is still in development, and we are pursuing a very specific vision for the "Howling Hill Harlequin" sheep, with an emphasis on stocky stature and Babydoll-style breed type. Harlequins differ from the Babydolls in that there is a substantially larger emphasis placed on wool quality for the Harlequins; in addition, the wool staple length is longer. The biggest difference, however, is that the Harlequin Sheep breed is intended to be spotted. Ours is a mixed flock made up of both Harlequin and Babydoll Southdown sheep, in all colors, with an emphasis on spotted sheep. We are sold out for 2019! Please check back here for news about 2020 lambs. Please do not email asking to be put on a wait-list as I am simply unable to keep one this far in advance. I deeply and sincerely appreciate the interest, but we have so many more interested people than lambs that it is impossible to manage a wait-list fairly. We will have more beautiful lambs available in 2020!